Today I started wearing my 3-6 month clothes. 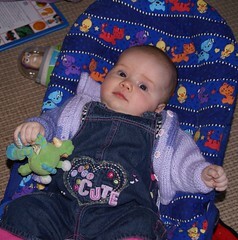 Mummy says Charlotte was 4.5 months old before they fitted her but I am only 2 months and 3 weeks old. Amn't I a clever big girl?